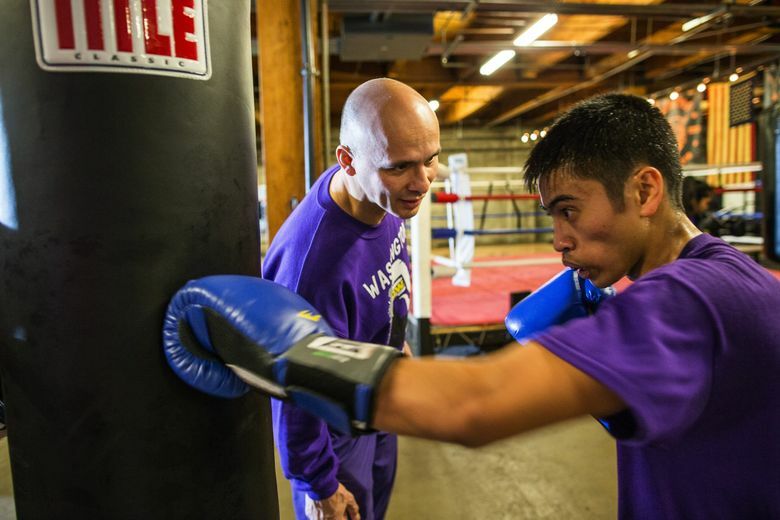 Christopher Mendez helped start the UW boxing club from scratch, and his team will host the National Collegiate Boxing Association (NCBA) this week. But the search for a place to fight could leave the team on the ropes. Christopher Mendez does not coach boxing at the University of Washington for the money. His job comes with no salary, and he occasionally pays team expenses out of his own pocket. He doesn’t do it for glory or recognition. Most people are just now finding out the UW boxing club exists. He doesn’t do it because it’s easy. A facilities crunch at Montlake means his team spends half its practice time at various Seattle gyms. What: The National Collegiate Boxing Association championship tournament, featuring men’s and women’s tournaments with boxers from more than 20 schools expected to compete. When: Thursday and Friday, 6 p.m.; Saturday 4 p.m.
Who: Hosted by the Seattle Sports Commission and the UW Boxing Club. Did you know? UW will have 14 boxers competing. UW Women’s Club has won the last two national team titles. So what motivates the 46-year-old software salesman and family man from Newcastle to give up his free time to coach a club sport at UW? To get that answer, go back to the mid-1980s. A boy walks home from school in Oxnard, Calif. Home is a small camping trailer parked in a relative’s back yard. There’s not much money, there’s only one parent, and there’s a feeling of overwhelming hopelessness on this day because Mendez has just flunked English. “I walked home crying,” Mendez remembers. “I’m thinking I’m going to be poor and not have an education.” Mendez was smart but had a huge streak of goof-off in him, which led to lots of skipped classes. He played football and figured that would always be there, so why worry about English class? The red F staring back at him forced him to reconsider his priorities. Mendez began squeezing something out of every minute of his day. He did well enough in high school to be accepted to West Point, where he played football and joined the academy boxing team during his first year, even though the seasons ran concurrently. His exposure to boxing was limited — “I had three older brothers so I knew what it was like to get hit” — but he took to the sport with zeal. His coach suggested he fight for the brigade championship, and Mendez won. He became so enamored that he gave up football to focus on his new love. Mendez fought in the National Collegiate Boxing Association (NCBA) national championship three times, winning the title once. After West Point, he became a military intelligence officer and was stationed at Fort Lewis. He eventually settled in the Seattle area. Several years later a coincidence led to him starting a boxing team at UW. He was a spectator at the NCBA championships in 2010 when he was told that Ryan Kim, a fighter transferring from Penn State to Washington, was trying to start a team. Mendez agreed to help, and soon found himself running a program that quickly grew into a nationally respected newcomer in the NCBA. Under Mendez, the Huskies have produced numerous regional champions and two national champions. His women’s team is the two-time defending national champion. Mendez has structured the UW club like a military academy. He divides the team into brigades, each with a leader who governs boxers and reports directly to Mendez, who says this develops leaders. Kim is now a doctor. Five of Mendez’s other boxers are in medical school. Two others have become Navy SEALs. 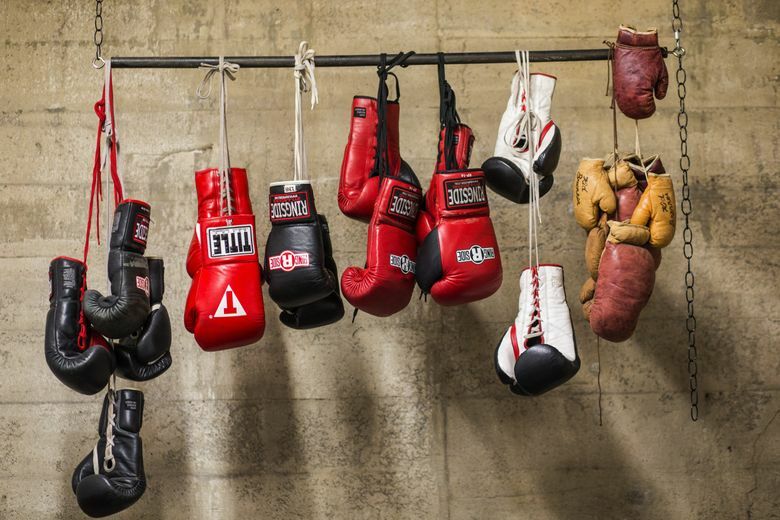 Tryouts and selections are like a boxing boot camp. Only about a third of the 100 or so who try out make the squad. That determination is made by the team members. His military background manifests itself in the calm, commanding way he and his assistants run practice at a typically noisy boxing gym. Heavy bags thump, speed bags smack, gloves thwack against mitts while ring timers constantly clang. Above the din you can always hear Mendez coaching — raising his voice to be heard without yelling. Mendez’s boxers say that his unwavering commitment to his values — and to them as individuals — are keys to his success. “He’s great at what he does because he has a genuine passion for not just the sport of boxing but each individual boxer,” says Lorin Lee. Sophomore Hang Thao, one of the tournament’s top boxers, says Mendez has “an unwavering faith and trust” in his fighters. After practice, Mendez discusses strategy, diet and behavior leading up to the NCBA regional tournament. Then he hands out driving assignments to four boxers. They will be in charge of renting cars and organizing the trip to regionals in Reno, Nev. No one complains as plans are made to meet on campus to begin the drive at 5 a.m.
That’s just one of the logistical challenges Mendez and his team face. The team does conditioning work on campus, but doesn’t have the equipment for the boxing part of their training, so they spend three days per week at Seattle gyms. The time-consuming search for space has put Mendez at a crossroads. Money isn’t the issue. 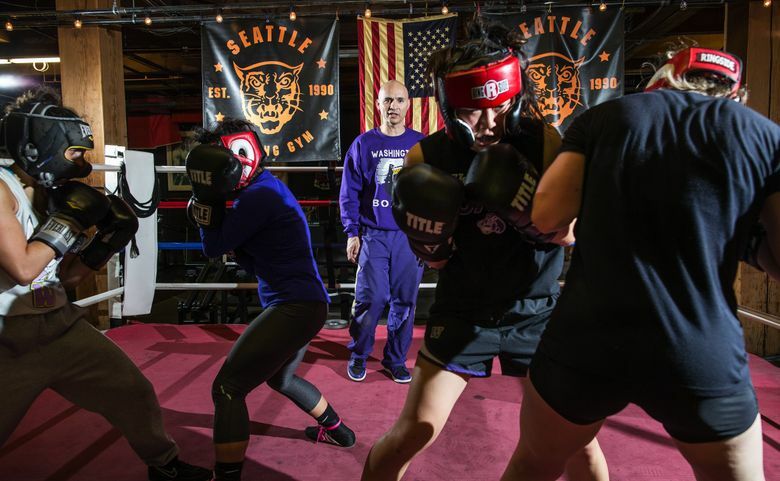 Supporters have agreed to pay for equipment, including a ring, for a boxing gym at UW. The problem is finding a place on campus. 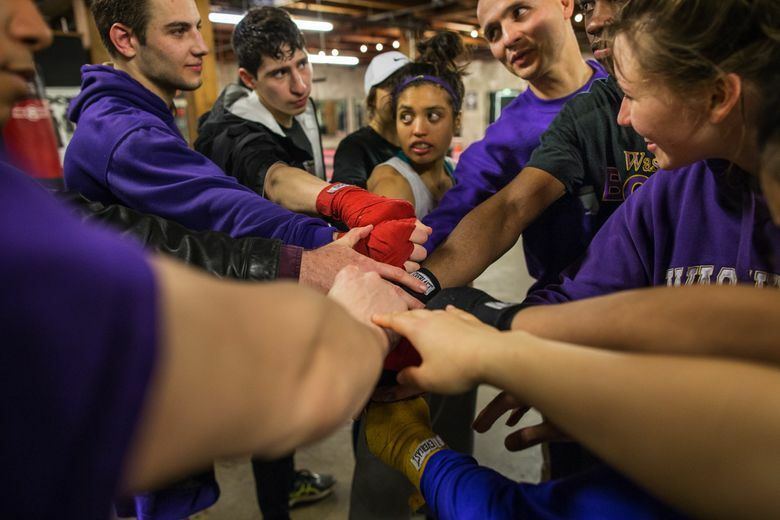 The UW boxing club isn’t alone in its nomadic existence. The UW hockey club trains in Everett. The equestrian team rides in Woodinville. UW club sports coordinator Chris Delaune balances the needs of 39 different clubs with finite space. Delaune says it’s possible that the NCBA championship tournament in Seattle might be the catalyst to open discussions about finding more room for boxing. Mendez is excited about the exposure his boxers will get this week and hopeful that the space question can be worked out so the club can continue to grow. Mike Gastineau is a former sports-talk radio host and author of “Sounders FC: Authentic Masterpiece”, a book detailing the birth of Seattle’ MLS soccer franchise.